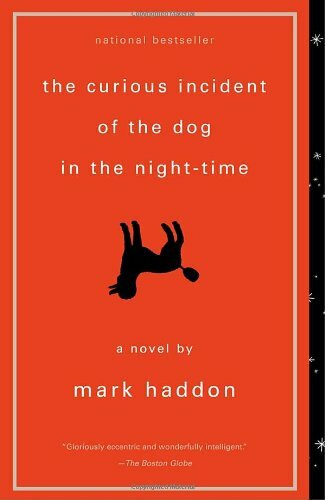 [BOOK] The Curious Incident of the Dog in the Night-Time. “The Curious Incident of the Dog in the Night-Time” is an interesting account of what goes on inside the mind of a 15-year old diagnosed with autism. It shows how things really are different depending on whose perspective we are seeing from. Reading just how unique Christopher’s world looks like in his eyes reflects just how wonderful or horrible the world can be according to our outlook in life. The main trigger of the story is the “curious incident of the dog in the night-time” quite literally. One night, Christopher discovers the body of Wellington, Mrs. Shears’ dog, speared by a garden fork. In all his innocence, he decides to take out the fork from the dead body of the dog and brings Wellington to Mrs. Shears, their neighbor. He is accused of killing Wellington given the circumstances and while explaining to the police his side of the story, the police lightly touches him and this makes him explode that causes him to hit the police. He gets arrested or detained but is let off with a warning. Christopher takes it upon himself to find out who the culprit is in killing Wellington despite his father’s wishes that he leave things be. In my opinion, this was a very interesting read especially because Christopher has a particularly unique perspective. His condition allows him to notice things that we usually just take for granted and let pass by. He is also a mathematical genius which I envy because it has never been my strongest suit. (*sigh* Mathematics…) The book however, concentrates more on Christopher’s journey and thoughts more than an actual conclusion and result. What I mean is that I was more impressed by Christopher’s narration of the events than the events themselves. I’m not sure how the author intended it to be but I guess I was hoping for a more impressive plot rather than an interesting narration style. 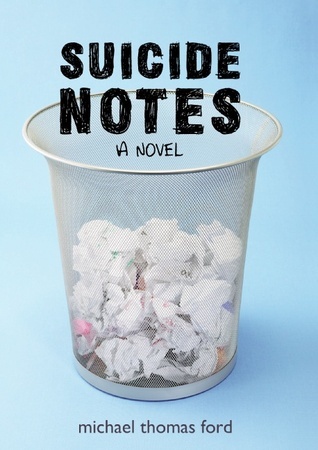 “Suicide Notes” by Michael Thomas Ford is a teen novel that deals mainly with suicidal tendencies, as the title suggests, and psychological breakdown. It tells the story of a high school student, Jeff, who wakes up in a psychiatric ward where he was checked in by his parents for a 45-day program after trying to commit suicide on New Year’s Eve. He was found by his parents in his room, covered in his own blood after attempting to take his own life by slitting his wrists. Despite the heavy topic, this book had a number of light, sullen scenes which alleviated the serious topic of depression and thoughts of suicide. It still can’t sugarcoat the tremendously serious scenes which just tugs at your heartstrings that make you question, WHY?!? It’s sad to think that there are people who take their lives because of the depression and loneliness that they feel but even more so when this feeling is caused by a traumatic experience especially in children. I do not condone suicide at all but this book shows a closer perspective to why they make such drastic decisions. Each chapter of this book represents each day that Jeff spent in the psychiatric ward which amounts to 45 days or 45 chapters. It describes his day filled with his refusal to cooperate with his doctor, Dr. CatPoop and his cynical remarks about the other kids in the ward. Over the course of his stay in the hospital though, he learns to appreciate and understand (somewhat) the company of his ward mates. Sort of like how you feel when you’re finally getting used to things but then by the time you realize it, alas, it’s time for you to leave the place. The Evolution of my PHONES. So, my friend and I were talking about an old photo (7 years old) which Timehop suddenly brought back to life and we got to talking about how crappy our phones were back then. I, then, started to reminisce about all the phones I’ve ever had and I decided to list them all out here..
NOKIA 5110 – Who doesn’t remember this awesome piece of phone? Sure, it looks crappy now compared to all our high-tech gadgets but this WAS the future. AND… SNAKES! How awesome was that game? NOKIA 3310 – Now this is the famous, INDESTRUCTIBLE PHONE. I remember throwing a tantrum just so my parents could buy me this phone. Yeah, I know… I was such a spoiled brat. But hey, the important thing is I recognized it and I “TRY” to be better. My most favorite feature of this phone was the Ringtone Composer. OMG… I spent so many days and nights just recreating songs in monophonic tones. It was pure bliss. Apart from that I also was obsessed with creating “PICTURES” using the Picture Editor. It’s a pixel by pixel image creator which can be sent as a picture message. If you don’t know what that means, you’re either too old or too young. lol Oh and SPACE IMPACT! I sucked at that game but darn, that thing was addictive. NOKIA 3330 – The brother of the NOKIA 3310. It did not have much of an added feature except for the WAP capabilities which was like the “internet” feature back then I guess. There was no way you could properly browse the web like you can now with your smartphones but during those days, that was a WOW feature. I don’t remember ever getting the WAP thing to work. It needed to be set up in a way a 15 year-old me couldn’t really understand. Also, just like 5110 and 3310, it had the interchangeable cover so that was the boom of the phone cover industry. There were transparent ones, lighting ones and of course, different colors. 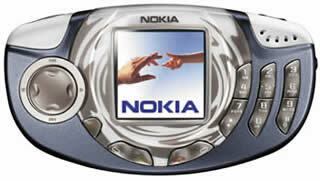 I remember my friends even pimping out their phones by changing the backlight color of their screens or the keypads. 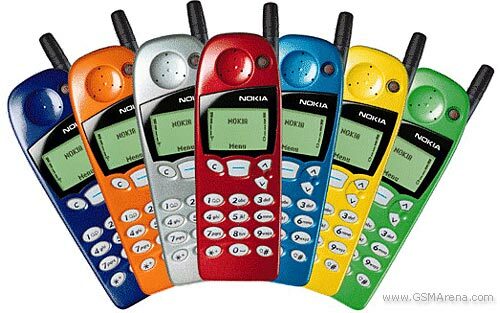 Sigh, good times, good times..
NOKIA 3530 – This was my first ever colored phone and back then, colored phones were revolutionary. I talk about this like it’s ancient times when really it was just like 15 years ago but it’s crazy how much technology has advanced in such a short period of time. This was also my first polyphonic phone. Yeah, it can play multiple notes at once for a ringtone. How crazy cool is that? hahaha..
NOKIA 3300 – The music phone. This was colored and you could put mp3s and listen to them, even make them your ringtone if I’m not mistaken. I loved this phone so much and I longed for this phone for monthssss before I actually got it. I did not throw tantrums like last time but I even went so far as to sticking the Nokia 3300 pamphlets up in my bedroom just so I could stare at it before I go to sleep. It makes me laugh when I think about it now. 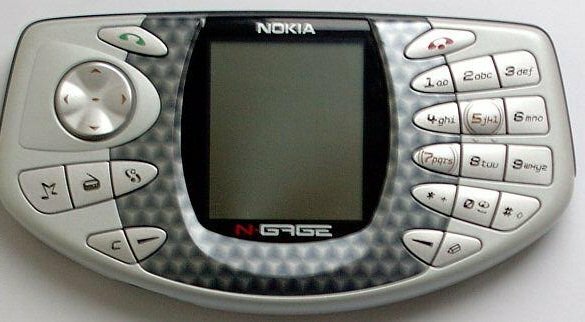 hahaha..
NOKIA N-Gage – This was a game phone and it was Nokia’s attempt at being a game console which did not take off as well as they thought it would. 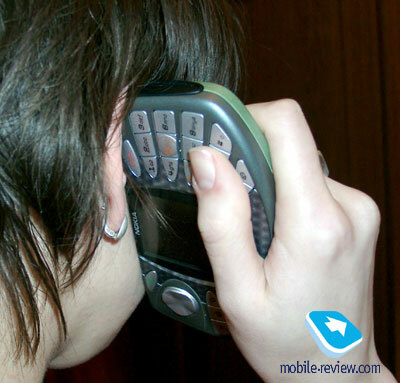 I think this was an awesome phone but it had the weirdest way of taking calls. You had to put it on its side and hold it to your ear like that. Imagine holding a sandwich as you would eat it. Now take that sandwich and hold it to your ear on its sides. Yeah, that’s what you look like when you were taking calls with this phone. Other than that, I loved how you could install apps on it because it had a Symbian OS. 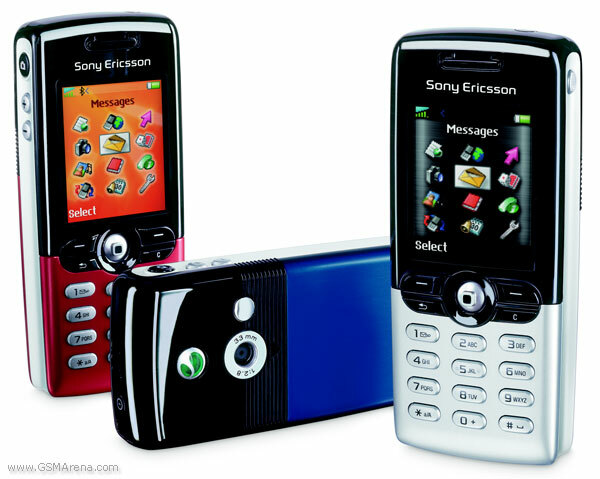 Sony Ericsson K700i – I almost forgot about this phone! I had this phone for about 2 years I guess. Man, I can’t believe I almost forgot about this. That was around 2005-2007 I believe. 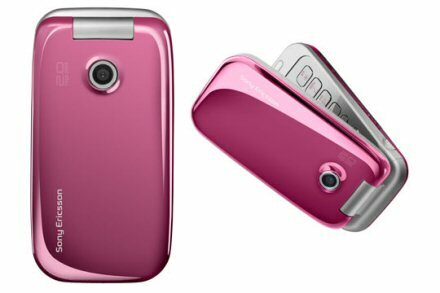 Sony Ericsson Z610i – I loved this PINK phone. I can’t describe how much I loved it. I got it as a graduation present so I know exactly when I received it. It was on April 2007, my high school graduation. Ugh.. I feel old. 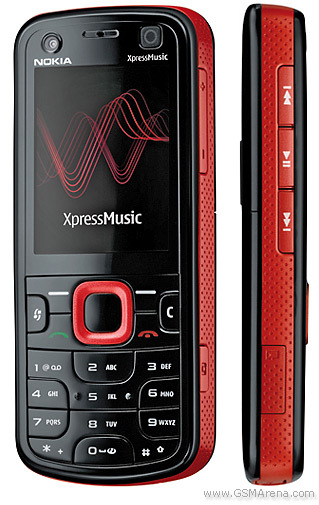 NOKIA 5310 Xpressmusic – This was a temporary phone which I borrowed from my mom while I had my previous phone repaired. I only had this phone for a few weeks, I believe. 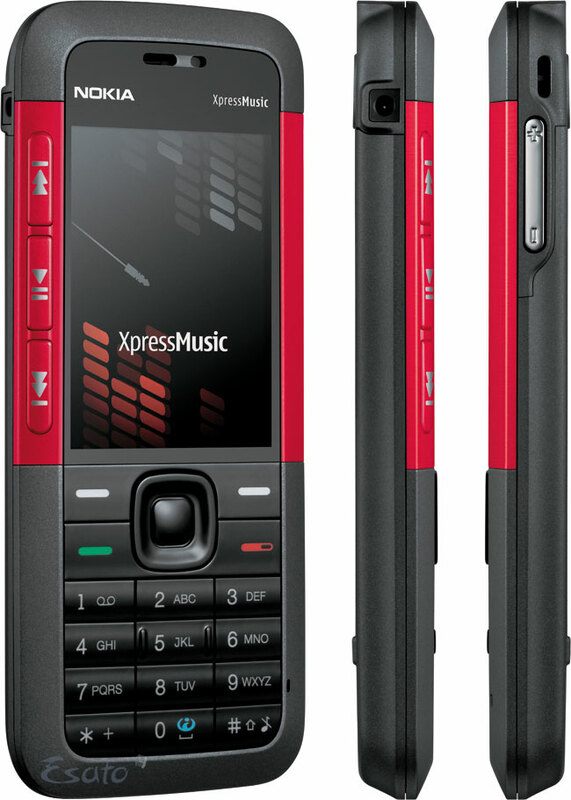 Nokia 5320 Xpressmusic – When my broken phone was beyond repair, I decided to exchange it for this phone. It’s nothing spectacular but this was one of the first phones where I was able to use the internet and even use it for chat. I can’t even imagine my phone not having internet now. 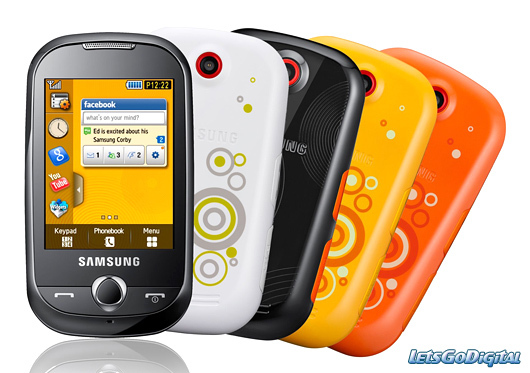 Samsung Corby – My first touchscreen phone. It was a capacitive touchscreen which was its only saving grace. It wasn’t that great of a phone but it was alright I guess. 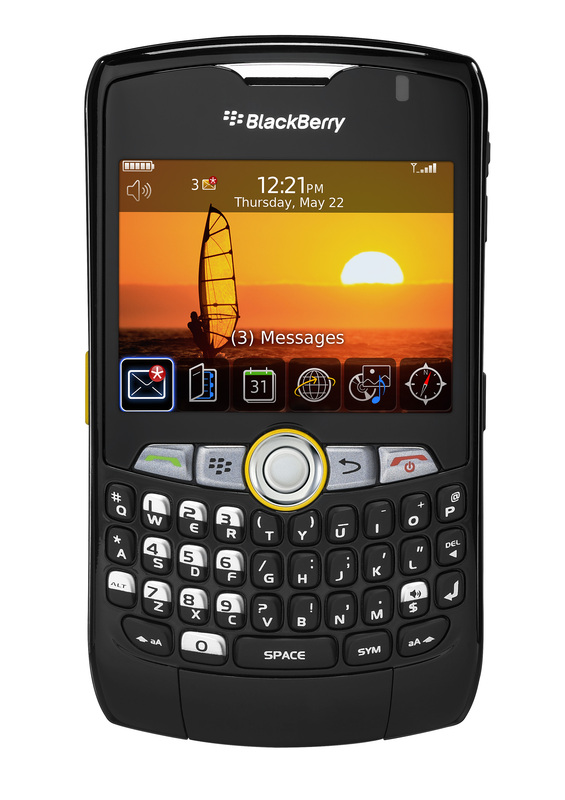 Blackberry Curve 8310 – Back in 2010, Blackberry suddenly became the most in thing and instead of asking for phone numbers, people would ask for your BBPIN number. 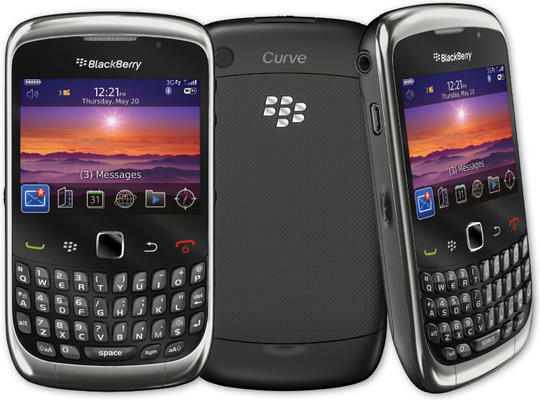 Blackberry Curve 3G 9300 – This was my second and last Blackberry. It was good for awhile then I just couldn’t stand its constant “hanging” and the battery life was just horrible. 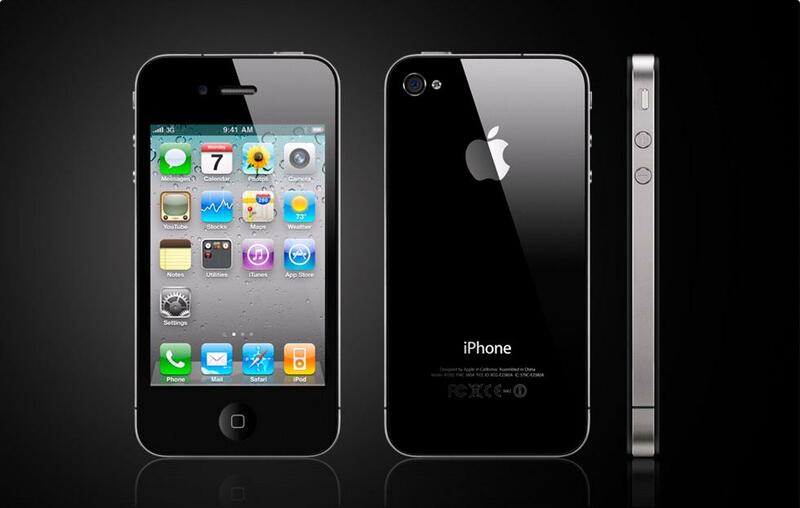 Apple iPhone 4s – My first iPhone and I loved it. The Appstore was a little overwhelming with all the amazing apps and the camera was just crazy good. Compared to my previous phones, this obviously had the best of everything. 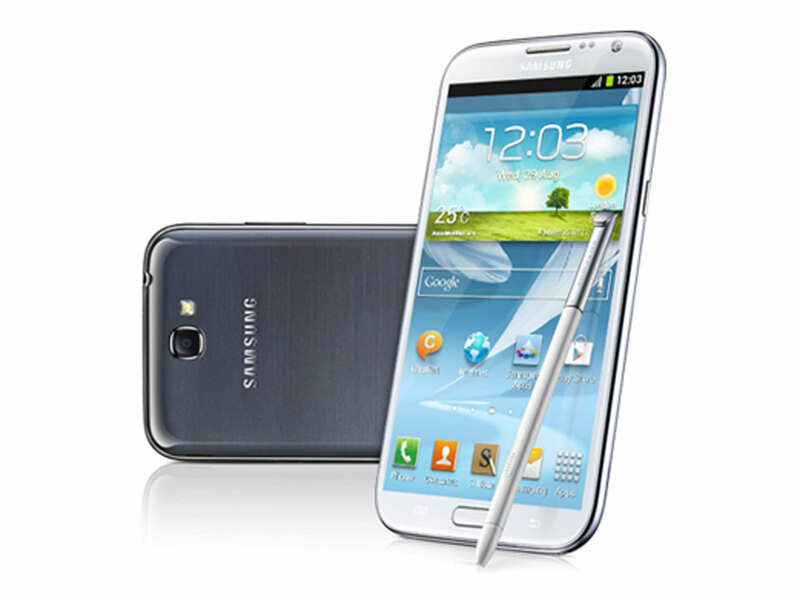 Samsung Galaxy Note 2 – I loved my iPhone but when I saw that the Note 2 had a stylus, I JUST NEEDED TO HAVE IT. I used the stylus pretty much in drawing. Actually, I think I was inclined to get this primarily because of the game called DRAW SOMETHING! I’m sure you remember how popular that game once was. It was difficult to draw on an iPhone because of the small screen and it didn’t have a stylus. Thus, the Note 2. Bigger screen, had stylus, perfect. 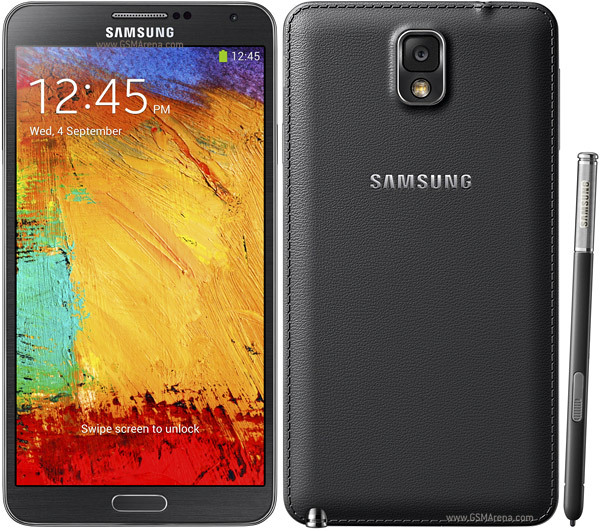 Samsung Galaxy Note 3 – I don’t remember why I wanted this phone. hahaha.. It’s not much different from the previous version. OH! My Note 2 fried my microSD card and I figured it was a faulty phone so I decided to exchange it for the next generation. 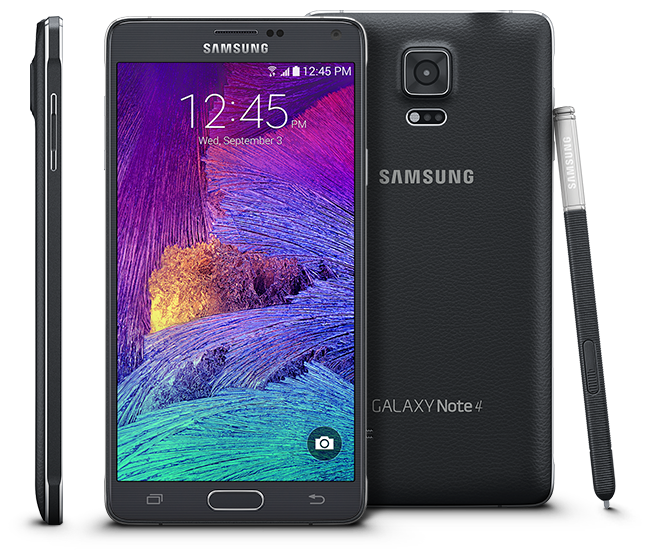 Samsung Galaxy Note 4 – I wasn’t intending on buying this phone but my dad said he could buy it for me as a birthday gift and then I’d just give him my old Note 3. This phone is awesome by the way. The camera primarily and the screen. TOP OF THE LINE. 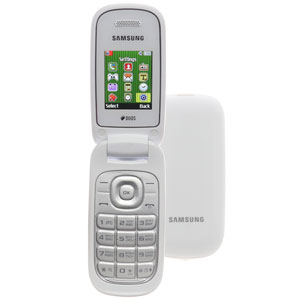 Samsung E1272 – I bought this cheap flip phone because I needed a secondary phone for work. 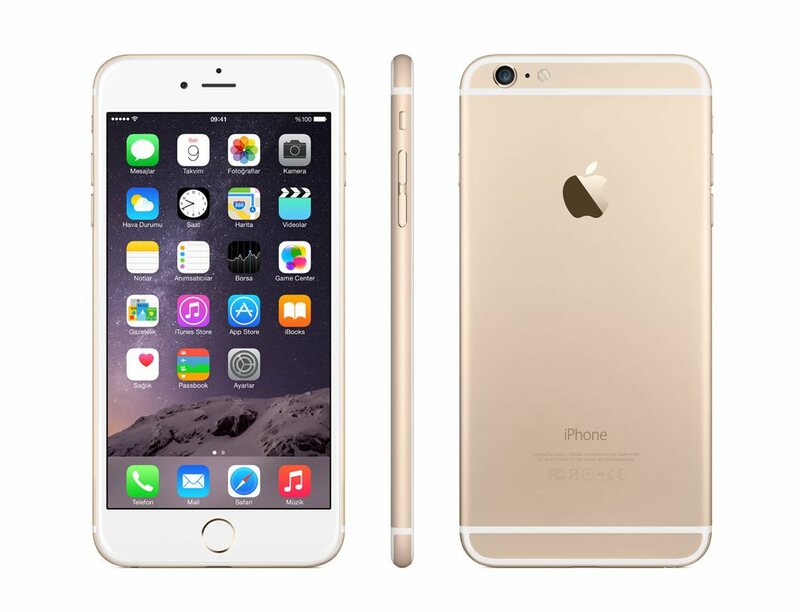 Apple iPhone 6 Plus – I loved my Note 4 but I got sick of the mediocre apps from the Google Play Store and also, since I have a MacBook, I figured it would be nice to have the Mac apps sync with an iPhone app. These are the phones I’ve had over the past 15 years. Looking at them now, it’s amazing how much phones have developed from a Nokia 5110 to iPhones and Samsungs, etc. 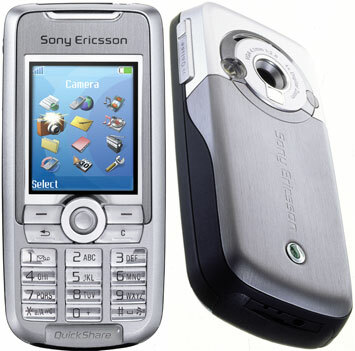 Back then, we just wanted a phone with a colored screen and now we complain that the phones only have 8MP of camera. Not only are the technology evolving rapidly, even more so are our WANTS and REQUIREMENTS. Now where is that time-travel phone I’ve been waiting for? or that phone that can produce a cheeseburger and pizza?